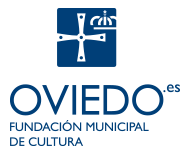 The activity is a guided bike route through the center of the city of Oviedo, discovering and knowing several murals, some finished and others in process, to learn from the creators their public art proposals. During the route there will be small stops to explain each mural and among all the participants temporary and mobile artistic actions will be created. Is a garden like a forest? With different materials and tools, we will create a mural with images of plants that each person previously designs using silhouettes. Movement and chance when making the work will be key themes in the creative process. The composition of the final image will depend on the integration of the elements that each person designs. Yepayé is a space in which the children, accompanied by their reference figures, will find unstructured materials that do not have a specific purpose and thus allow free play in which the creativity and experimentation skills of children have a place. This contributes to the development of autonomy and self-esteem. Activity parallel to the experimentation workshop with graffiti to cover the age range from 0 to 99 years. Yepayé is a traveling toy library with natural and recycled materials specially designed for children to practice Free Play. If the walls tell stories … why don`t our grandmothers also write them? The workshop is aimed at people over 65 years of age. The proposal is to explore the shared memories of the hands of our elders, to create a collective mural among all who can tell a part of that history. The purpose of the proposal is to enable older people as active agents in historical memory processes, to make their voices tangible in the public space and to approach muralism as a creative communication tool. Would you feel like taking pics of what will be happening at Parees? We offer to you a photography contest where you could win a tshirt, a tote bag and the Parees 2017 catalogue. Three best shots will be awarded. The participants will be picked up at the meeting point and from there the interactive bicycle route will start with several stops to get to know some of the walls and medians intervened during the festival. Activity designed for children and their families. The use of a helmet during the activity is mandatory. Comfortable clothes and shoes are recommended. The bike route is open upon registration and free of charge. Parees, together with the association La Biciclante and the artist historian César Ripoll Dono. We offer you an educational-artistic proposal for Parees 2018 based on the work of the participating artist Kruella d’Enfer. Starting from the concept of vegetation very present in her work, we propose to explore different dynamics of collective creation. In this way, a collaborative work of art will be created under the authorship of all the participants in the workshop. 3. Development of the final creative activity on the wall with the participating group. People from 4 years to 99 years old can participate and it will have different levels of depth, both technical and conceptual, so that each person can take advantage of it according to their interests and needs. It will be possible collaborate individually or in a group (family or otherwise). Pre-registration is required to hold the workshop. We believe that recovering and integrating older citizens’ tales and memories in a collective story is one of the great challenges of our society. Through the act of telling and listening both knowledge and stories are transmitted. Through the emotions and the events that are experienced, we can reconstruct and revalue these realities, creating symbols and images that create and reinforce identity. The stories relate the past to the present and reconcile them.